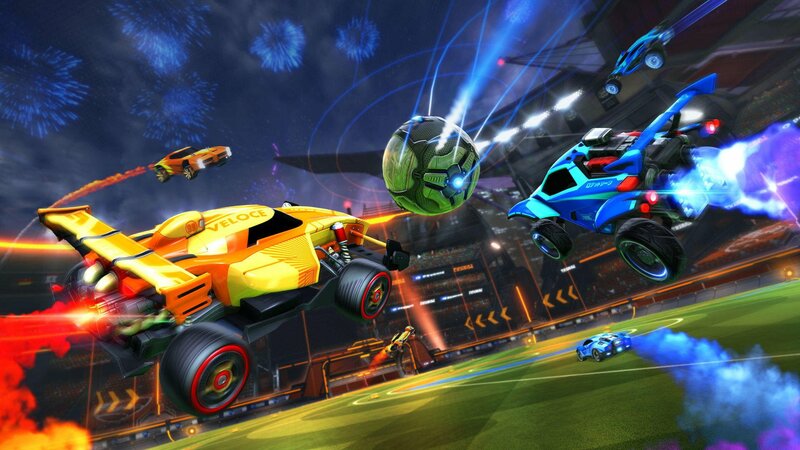 In an exciting new announcement from developer Psyonix, it was revealed that Rocket League now supports full cross-platform play. In the past, companies like Sony were opposed to the implementation of cross-platform play not only in games like Rocket League, but Fortnite as well. After increased pressure from fans, Sony has seemingly reevaluated their cross-platform stance through the recently announced PlayStation Cross-Play Beta program which games like Rocket League are now taking advantage of. Full cross-platform support now available in Rocket League. The post goes on to explain how players can enable cross-platform play. First, navigate over to the Main Menu in Rocket League, then select Options. From there, check to make sure “Cross-Platform Play” is enabled in the Gameplay tab, save your settings, and you’re good to go. The post also teases the rollout of cross-platform parties by explaining that additional information on the cross-platform party system will be released sometime later this year. Overall, we’re excited to hear that full cross-platform support is now live in Rocket League. For more information on cross-platform play in Rocket League, be sure to check out the full announcement from Psyonix. Alternatively, you can read more about the PlayStation Cross-Play Beta program on the PlayStation Blog. What do you think about the news that Rocket League now offers full cross-platform support? Are you hoping to see cross-platform added to other PlayStation games? Let us know your thoughts down in the comments below!